Disregard or even too much attention to one’s health concerns can have harmful consequences. Medicines can have side effects, surgery runs a certain amount of risk, and the results of some assessments are sometimes erroneous. Therefore, if your healthcare provider recommends a test, prescription medicines or a particular surgical procedure, you should ask important questions. Why do you need the therapy, treatment, or procedure? What would be the outcome should you choose to wait? Of course, it might be less costly if you decide to go ahead with a specific treatment plan. Weigh the advantages and disadvantages of a course of therapy, but do not blindly accept a medical professional’s first suggestion. Consider the risks and reward versus the overall expense. 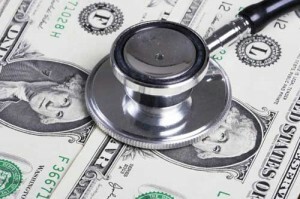 If you want to treat an ailment quickly, then cost may not be a factor to you. Just make sure that the ensuing outlay is reasonable and provides you with the optimum care. An area that can become quite expensive when determining a treatment plan covers medical tests. There are a number of things you can do in this regard to offset the total cost of medical tests. Keep a copy of your test results or make sure you receive a copy no matter what the results may be. By doing so, you have a record if you need the report for comparison purposes for any future exams. Should you need to see another physician, a record can be helpful to avoid re-testing and therefore reduces the expense you face. In certain instances, doctors will suggest patients check into a hospital the night before a test is taken. This can be quite expensive. So, check with your doctor to see if this is absolutely necessary should she or he suggest this course of action. Hospital admittance is often indicated for a patient who needs to be monitored as to what they consume or to ensure that they are receiving the proper amount of rest prior to their test. Therefore, you can save a significant amount of money if you choose to follow the necessary instructions at home before and after a test. Also, make sure you’re not tested more than you need to be. For example, if you have a health condition that needs assessment on a regular basis, see if you can wait longer between evaluations to affect a cost savings. Be diligent about your course of treatment and research your options on the internet. Keep the channel of communication open between you and your doctor. Make sure he understands that cost along with good care weigh heavily in your decision of a treatment plan. Keeping these things in mind and being upfront with your medical staff will ensure that you pay for exactly the care that you want and/or need. Previous post: Is Refinancing Your Home Mortgage Right For You?